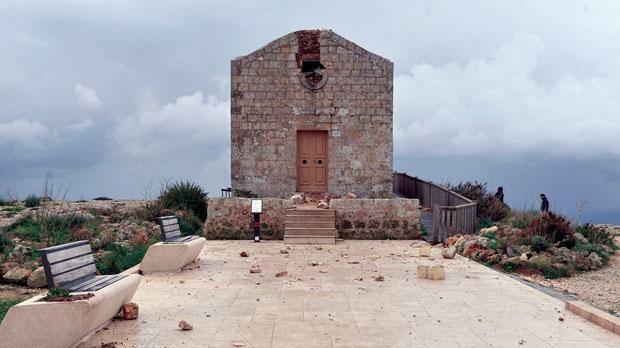 A tiny chapel at the highest point of Dingli Cliffs was extensively damaged when it was hit by lightning during a heavy thunderstorm on Tuesday evening. The altar painting was damaged by stone debris. Dedicated to St Mary Magdalene and known as il-kappella tal-irdum, the chapel was restored four years ago. EU Funds Parliamentary Secretary Ian Borg said yesterday it would be repaired by the Restoration Directorate.